"Ambassador” means an individual or business generating their own traffic and thus rewarded for legitimate sales, leads, clicks, or other measurable action. • The Ambassador will introduce SCORE IT BAND™ products to their current and prospective customers. • The Ambassador will comply with all state and federal laws, as well as, those that govern email marketing and anti-spam laws. • SCORE IT BAND™ will pay the Ambassador a Commission per completed sale of products using the Ambassador’s assigned coupon code according to the designated payment schedule. • The SCORE IT BAND™ Ambassador Program may be amended or terminated at any time by SCORE IT BAND™. • The Ambassador must keep himself/herself informed of any amendments to the Ambassador Program. • The Ambassador must comply with the requirements set forth by the Ambassador Program. • The terms of this Agreement will begin upon SCORE IT BAND™’s acceptance of the applicant’s Ambassador Program request made via email or other electronic means. • Ambassadors are only eligible to earn Commission Fees on Qualified Purchases occurring during the term, and Commission Fees earned through the date of termination will remain payable only if the orders for the related products and services are not cancelled and comply with all terms laid out in this Agreement. • SCORE IT BAND™ may withhold the Ambassador’s final payment of Commission Fees for a reasonable time to ensure that all Qualified Purchases are valid and payment from Referred Customers are legitimate as determined by SCORE IT BAND™ in its sole discretion. • Any Ambassador who violates either this Agreement or SCORE IT BAND™’s Terms and Conditions will immediately forfeit any right to any and all accrued Commission Fees and will be removed from the SCORE IT BAND™ Ambassador Program. • Without limitation, an Ambassador's participation in the Program, and this Agreement, shall be deemed automatically terminated immediately and all Commissions forfeited upon Ambassador's violation of any of the terms of this Agreement or of any applicable law or regulation having the force of law. • Only duly-authorized SCORE IT BAND™ officers, employees, and agents will have access to information furnished or obtained in connection with the Ambassador’s involvement with the Program; that they will maintain and protect the confidentiality of such information to the greatest extent possible; and that they will share such information only to the extent necessary to make employment decisions and to respond to inquiries or notices from government entities. • Any claim that SCORE IT BAND™’s use of the Ambassador Trademarks infringes on any trademark, trade name, service mark, copyright, license, intellectual property, or other proprietary right of any third party. • Any misrepresentation of a representation or warranty or breach of a covenant and agreement made by the Ambassador herein. • Any claim related to the Ambassador’s site, including, without limitation, its development, operation, maintenance and content therein not attributable to SCORE IT BAND™. • To begin the enrollment process, the Applicant must contact SCORE IT BAND™ via email or other electronic means and request enrollment. • SCORE IT BAND™ will evaluate the Applicant’s request and notify the Applicant of their acceptance or rejection. • SCORE IT BAND™ and the Ambassador shall agree upon Commission terms prior to participating in the Ambassador Program. • SCORE IT BAND™ may reject the Applicant’s application for any reason at SCORE IT BAND™’s sole discretion. • Otherwise violate SCORE IT BAND™’s intellectual property rights or the intellectual property rights of others. • If SCORE IT BAND™ rejects an application, the Applicant is welcome to reapply to the Ambassador Program at any time. • If SCORE IT BAND™ accepts the Applicant’s request for enrollment, SCORE IT BAND™ reserves the right to terminate the Applicant’s participation in the Program for any reason in SCORE IT BAND™’s sole discretion immediately without prior notice. • A copy of this Agreement shall be provided to the Ambassador upon enrollment via the Ambassador’s designated email address. • SCORE IT BAND™ may modify any of the terms and conditions in this Agreement at any time at SCORE IT BAND™’s sole discretion. • In such event, the Ambassador will be notified by email. Modifications may include, but are not limited to, changes in the payment procedures and the SCORE IT BAND™ Ambassador Program rules. • If any modification is unacceptable to the Ambassador, the Ambassador may terminate their participation in the Program without penalty. • The Ambassador’s continued participation in the SCORE IT BAND™ Ambassador Program after receiving any Agreement modification notice will indicate the Ambassador’s agreement to the changes. • The Ambassador will receive a Commission for authorized sales at scoreitband.com made via their assigned website link or usage of their assigned coupon code. • In order to place links or coupon codes, the Ambassador must first be approved by SCORE IT BAND™ and maintain Ambassador status. • The Ambassador understands that the Payout amount may be changed at any time. • The Ambassador will receive Commission payments from SCORE IT BAND™ via PayPal, Inc OR Venmo. The Ambassador must have an active PayPal OR Venmo account to receive payments. • Payments will be made no later than the 15th day of each month for the previous month’s transactions. The Ambassador’s account balance must exceed $1.00 to receive payment for said payment period. • All confidential information, including, but not limited to, any business, technical, financial, and customer information, disclosed by one party to the other during negotiation or the effective term of this Agreement which is marked "Confidential," will remain the sole property of the disclosing party, and each party will keep in confidence and not use or disclose such proprietary information of the other party without express written permission of the disclosing party. • If any provision of this Agreement or part thereof should to any extent be or become invalid or unenforceable, the parties shall agree upon any necessary amendment of the Agreement in order to achieve the interests and objectives of the parties prevailing at the time of execution of the Agreement. • Federal and state laws will govern this Agreement, without reference to rules governing choice of laws. • Any action relating to this Agreement must be brought in the federal or state courts and you irrevocably consent to the jurisdiction of such courts. • The Ambassador may not assign this Agreement, by operation of law or otherwise, without our prior written consent. • Subject to that restriction, this Agreement will be binding on, inure to the benefit of, and be enforceable against the parties and their respective successors and assigns. • SCORE IT BAND™’s failure to enforce the Ambassador’s strict performance of any provision of this Agreement will not constitute a waiver of SCORE IT BAND™’s right to subsequently enforce such a provision or any other provision of this Agreement. • Either the Ambassador or SCORE IT BAND™ may terminate the Ambassador relationship at any time. • Ambassadors are only eligible to earn Ambassador Commission fees during their time as an approved Ambassador. Join the SCORE IT BAND™ Ambassador Program and become affiliated with one of the most innovative fitness products on the market. 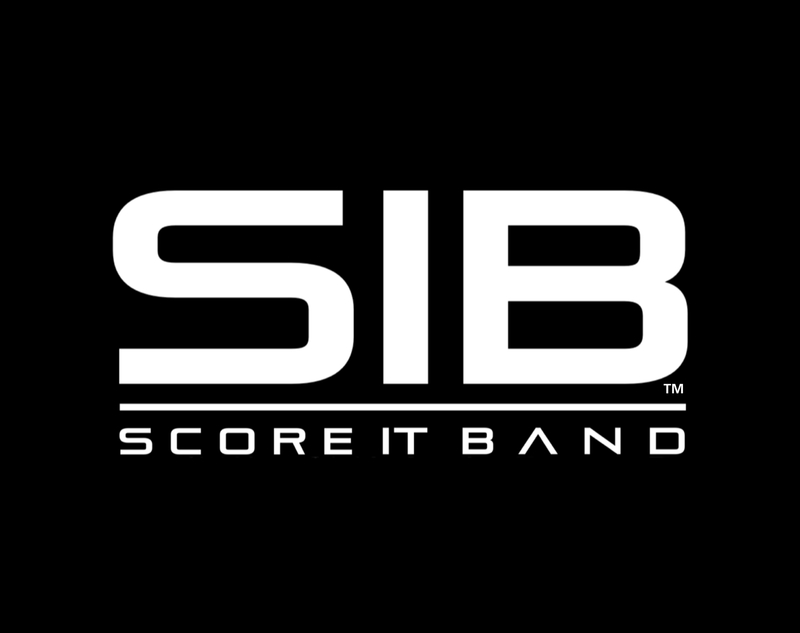 Provide your friends and followers with a custom coupon code to receive a 10% discount on all SCORE IT BAND™ products at scoreitband.com. *You may utilize your coupon code for personal purchases, however, you will not receive a commission on said purchases. Earn $4.00 USD commission on all orders made by customers using your assigned coupon code. Orders must include a Score It Band counter. Orders of apparel only do not apply. Commission payments will be made to your PayPal OR Venmo account no later than the 15th day of each month for the previous month's earnings. *You must have an active PayPal OR Venmo account to receive your commission payment. You can opt out of the SCORE IT BAND™ Ambassador Program at any time. SCORE IT BAND™ recommends you make a minimum of one social media post per week to increase awareness of SCORE IT BAND™ products. *This is only a recommendation - not a requirement. Any special terms will be negotiated via email or through other electronic correspondence. Official details regarding the SCORE IT BAND™ Ambassador Program are contained in the Terms of Service/Legal Agreement found on this site.